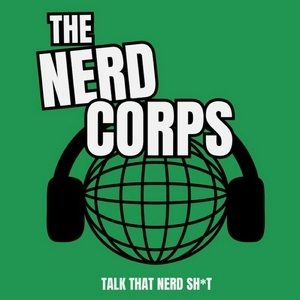 Welcome to The Nerd Corps Podcast Feed the destination for all discussion and reviews in pop culture entertainment. Enjoy our shows on movies, video games, and life in general. Most importantly, don’t forget to talk that nerd sh*t.
That black hole pic tho?! I talked with filmmaker and creator Ayden Byrnes about his life, filmmaking, and the ever changing state of cinema! The Nerd are back to discuss that new ENDGAME trailer! We're back with another great episode of the Gamer Corps where we discuss Halo, Anthem, and more. We also bring on a special guest, HeavenlyHaylee, for her first appearance on The Nerd Corps podcast feed! Enjoy and Pledge To Nerd! A short, but good episode to keep the Weebs entertained! The Nerds give their COSMIC review of Captain Marvel. No cat's or Nick Fury's were harmed in the making of this episode. 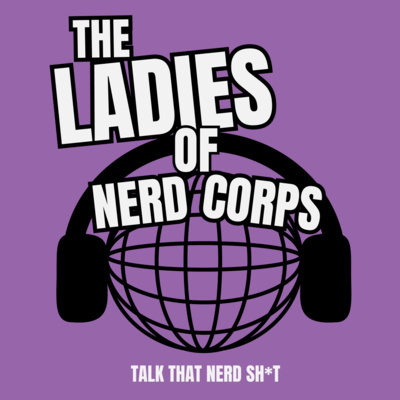 The ladies are back again to talk more nerd sh*t.
The Nerds are back to give their review of the documentary Jim & Andy. Spielberg v. Netflix: Dawn of Oscar Noms and How To Qualify For Them, box office report, and much more news! The Weeb Corps E15.75: Anime Awards Reactions! 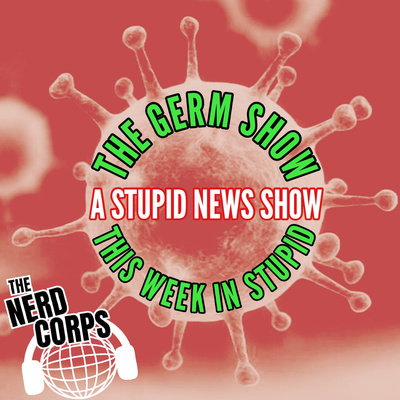 The first episode The Germ Show, the stupid news show. This week's episode includes small penises, siri snitching, and vampires. 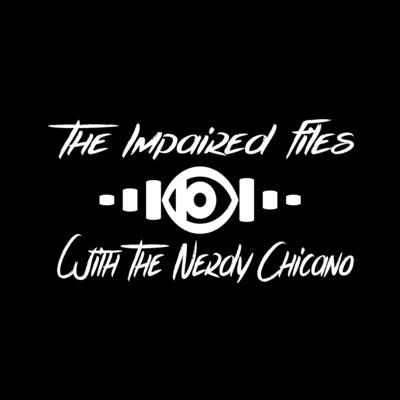 The Impaired Files #1: Nikki "SilentUschi"
The Nerd Corps Live Show #6: Is There A Swedish Superhero? 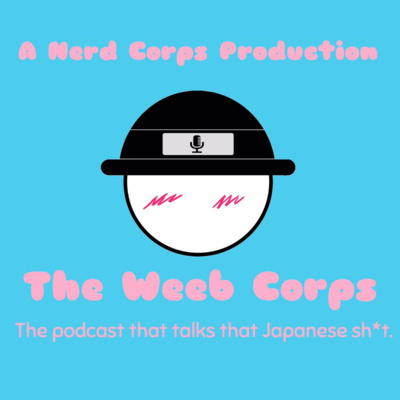 The Weeb Corps E14: We Love Short Episodes! E159: Where The White Women At? What an interesting and introspective episode on life and interaction! I welcome back our wonderful friend, Wesley Boutiler to talk Oscar nominations and snubs this year! Gaming news, sales, and free NES games for your Nintendo Switch! Also, we discuss the avenues of Mobile Gaming and VR Gaming. A Broly related episode from the best anime podcast in the world! A HEAVYWEIGHT MATCH of the Ultimate Director's Cage Match Classic as Stanley Kubrick and Martin Scorsese go one on one. Trailer talk and a review of Unbreakable (2000). The third review for Ingmar Bergman month as we review Through A Glass Darkly! R rated Black Widow? 200 Million Phoenix? All that and more in this news edition of Winterfell's favorite podcast! Brad couldn't remember the name to this week's episode...so here ya go. It was late, but we talked a lot of news and about what game developers do that really pisses us off. Alex returns to talk that Weeb sh*t and brings along a nerd with him to discuss the best beginner animes...and Silent Uschi makes a special appearance at the end. ;) (Also, they gave Brad recording duty...so sorry for any audio issues). The Nerds return to the ring for another segment of the Ultimate Director Cage Match Classic where Kurosawa goes up against Guillermo. Also, we talk about Variety's bad behavior at the Golden Globes. The Nerds return with special guest Ayden to talk the second film of Ingmar Bergman month, "Persona"...and boy is it the most confusing episode yet. The Nerds are back with another New & Box Office Episode. Quite a bit of information dropping for DC and the Batfamily as well as some happenings concerning Star Wars and A Quiet Place 2. Life, goals, and a movie review just how y'all like it. The Nerds and our guest co-host Ayden Byrnes discuss, review, and rate the first movie of Ingmar Bergman Month "Summer with Monika". This week we talk the 8-bit Sh*t with our special guest TinyMovingJosh (Twitch). We cover some news and talk with Josh on his future plans as a streamer. Half of The Weeb Corps (along with "The Nerd Corps" ) return from their Winter Break to talk some anime news along with a review of Skull-face Bookseller Honda-san! The Nerds continue their discussion in the Ultimate Director Cage Match Classic pitting two titans of horror against one another...Hitchcock vs Burton. The Nerds ring in the new year discussing their most anticipated movies of 2019. Raul, Brad, & Special Guest Thad discuss the future of the podcast for 2019. Prepare to go under da sea and listen to Raul and Brad battle over the pros and cons of the newest DCEU flick Aquaman. The Nerds return from their winter sabbatical to bring a review of the DCEU film, Wonder Woman in all its golden glory. Brad and a sickly (but unfazed) Raul return from their too long winter break to discuss their favorite and worst movies of 2018. MERRY CHRISTMAS! 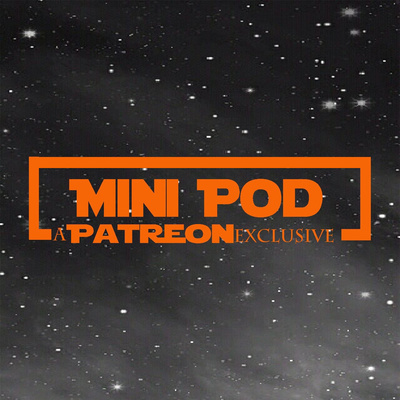 This week we do a special edition episode due to the holidays. We make a BIG announcement for the future of the show and then watch an episode of RAW from December 22, 1997. Nerdy Chicano Show E23: Are We Old? Raul and Luis have a heartfelt discussion involving music and the passing of time. A review of Spider-Man: Into The Spider-Verse (2018) hope you all enjoy and listen to hear all about our thoughts on the film! The Book It! Boys are back and bringing that Crushing Christmas Spirit! Video game movies mess and Fortnite lawsuits. A review of Nausicaä and the Valley of the Wind along with other weeb shenanigans! Aquaman predictions and the final two matches of the Ultimate Director's Cage Match Classic! A review of Suicide Squad! News of the week along with the box office hits of the weekend! A review of Mowgli: Legend of the Jungle! 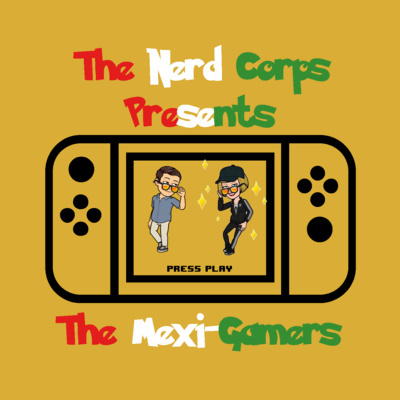 The Gamer Corps E21: Brad Can Read? News, sales, and the best game of 2018!! New episode of the hottest anime podcast on the web. A review of Cam (2018) and Roma (2018)! E132- I Thought She Was With You? What childhood game of yours does not hold up as well? That time I got reincarnated as a slime impressions with other anime shenanigans! What would the pro wrestling world be like if WCW beat WWF in the Monday Night Wars! The Weeb Corps E6- In This Corner of Netflix. The next matches of round 2 of the Director's Cage Match Classic! News for the week as we look at why people are watching Venom! Listen to a booking of modern ECW! 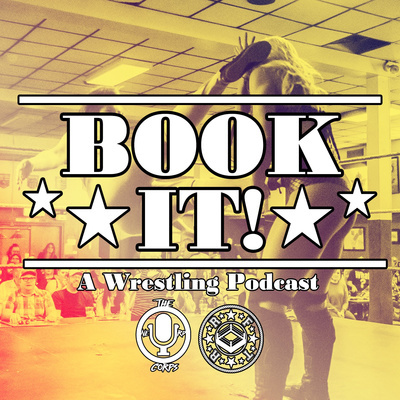 The Book It Boys are here with a live commentary of NXT Takeover War Games 2! 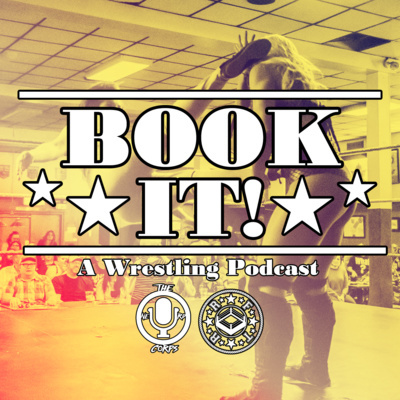 We had the Book It Boys on this show to discuss a lot of stuff in pop culture! The Gamer Corps E14- Spoopy Season. Honorable mentions of our upcoming episodic series as we determine the greatest director of all time. Just the most fun you could have fun with a bunch of dummies! 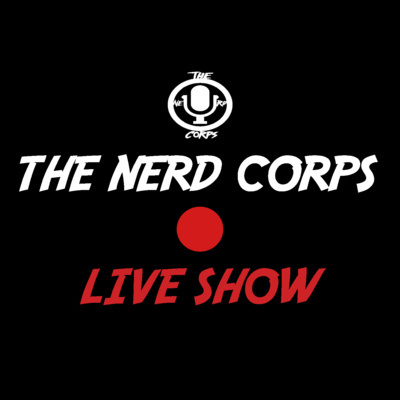 The Nerd Corps Live Show #2- Dude Where's My Luis?